Are you looking for a DI box to hire in London & Surrey? We have a few solutions for you. 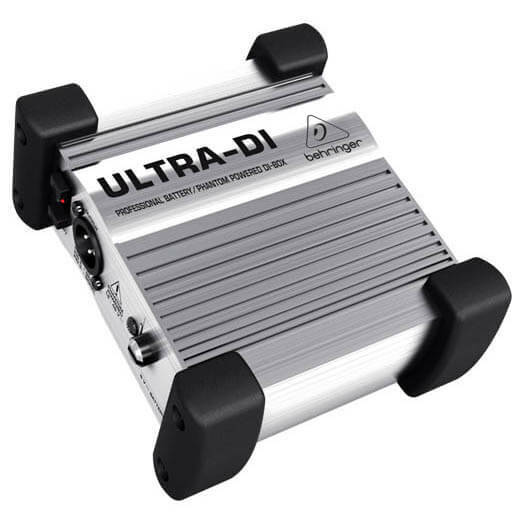 A DI Box converts an unbalanced, high impedance signal (the kind of signal generated by most pickups and contact mics) into a balanced, low impedance signal (the kind of signal required by most desks). It also isolates the output signal from the input signal (and most also incorporate an earth lift facility), so it can be used – as a temporary measure in an emergency – to cure ground loop problems in other parts of the signal chain (e.g. between desk and power amplifier). Connecting the instrument directly to the desk’s input creates a ground loop (characterised by a hum or buzz at 50 Hz and/or whole multiples of that frequency). This situation can arise where on-stage effects-units or amplifiers form part of the signal path, and have earthed power supplies. Unbalanced jack input ( >2KΩ), with loop out. Uses a 9V battery or 48V phantom power. 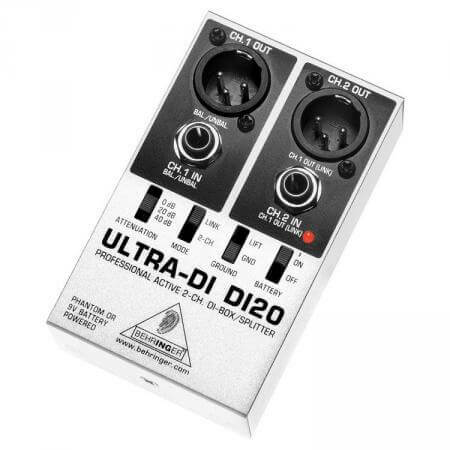 Switchable input attenuation allows connection to outputs with up to 3000 Watts. 3 ranges of input levels up to 48dBu.